Two players – China’s Wang Hao and Germany’s Jan Gustafsson – have broken away from the pack and are now favourites to win the 2015 Thai Open in Pattaya. 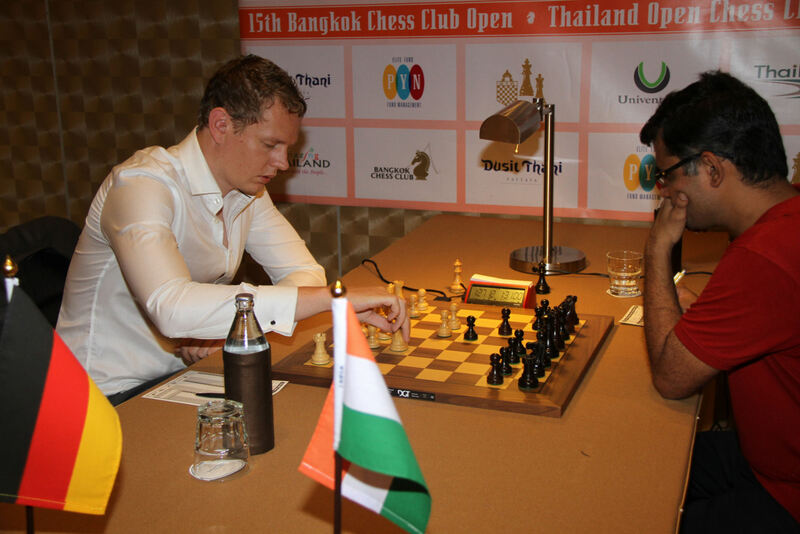 After an extended photo-shoot in the morning, Wang and Gustafsson might have been expected to be tired but both won convincingly, the Chinese top seed beating India’s Abhijit Kunte with a powerful attack and fourth seeded Gustafsson grinding down Kunte’s compatriot Sharma Himanshu to join Wang on 6/7. The chasing pack, just half a point behind the leaders, includes all other top seeds – Vallejo, Short, Socko, Ganguly, Dragun and Horvath – with a winner almost certain to come from the top two score groups. 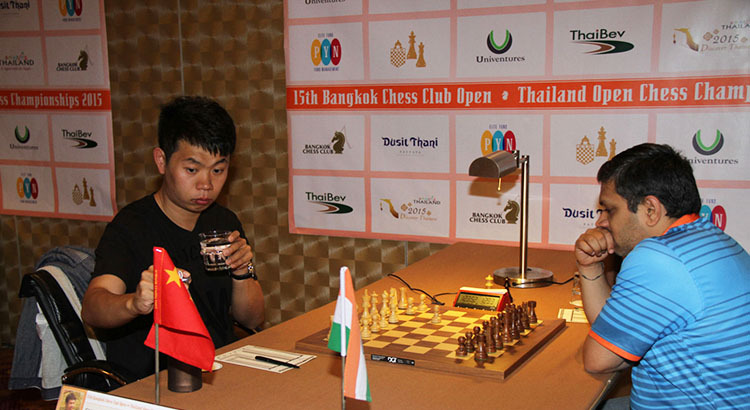 The Thai challenge continued from an unexpected quarter with an upset win by Boonsueb Saeheng over Indian International Master Somak Palit. 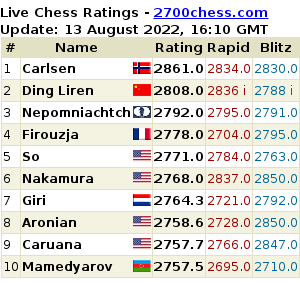 48-year-old Saeheng, seeded only 69th at the start of the tournament, showed outstanding endgame technique to win a lengthy rook endgame and move to within half a point of third place. The Thai Open, continues at the Dusit Thani Resort in Pattaya until Sunday April 19. 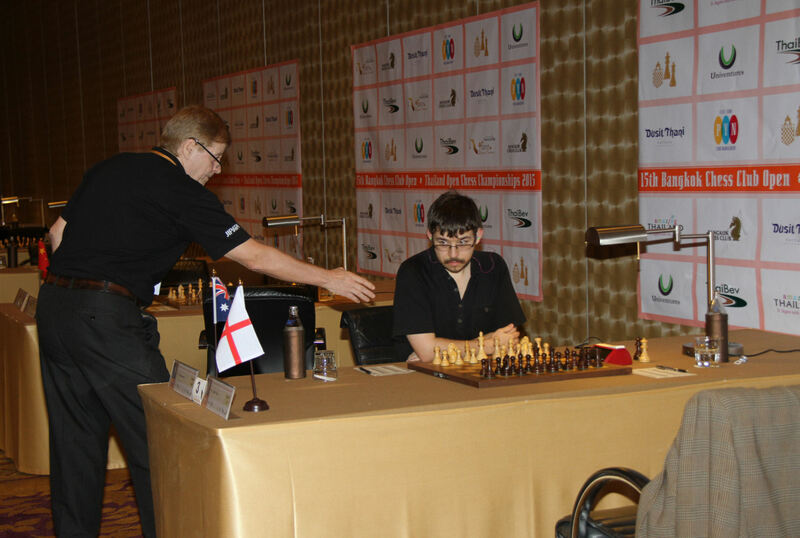 The tournament is organised by the Bangkok Chess Club and the 2015 edition features 299 players from 42 countries in two divisions, with a first prize of 100,000 Baht.